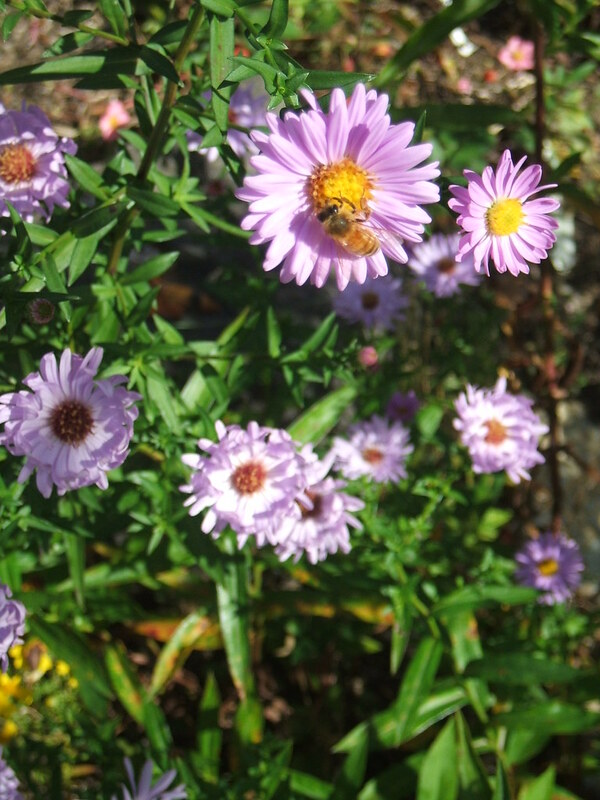 The asters that reseed vigorously in my parking strip garden are tall, leggy, often in the wrong place and prone to rust late in the season. But I keep them anyway. Do you know why? Yes, for the bees. Most of the blossoms are gone by now (these photos were taken back in late September), but since there aren’t many flowers on the street still blooming at that time of year, I like giving my buzzing friends a last little taste of summer before it’s time to close up the honey shop for the year. Do you have any plants you keep around mostly for the wildlife to enjoy? Does anyone know the latest on the dire predictions about honeybee colony collapse? I have not noticed any decrease in the number of bees this year, and in fact I almost feel like there are more. Are they rebounding, or am I just lucky to be near some healthy hives? 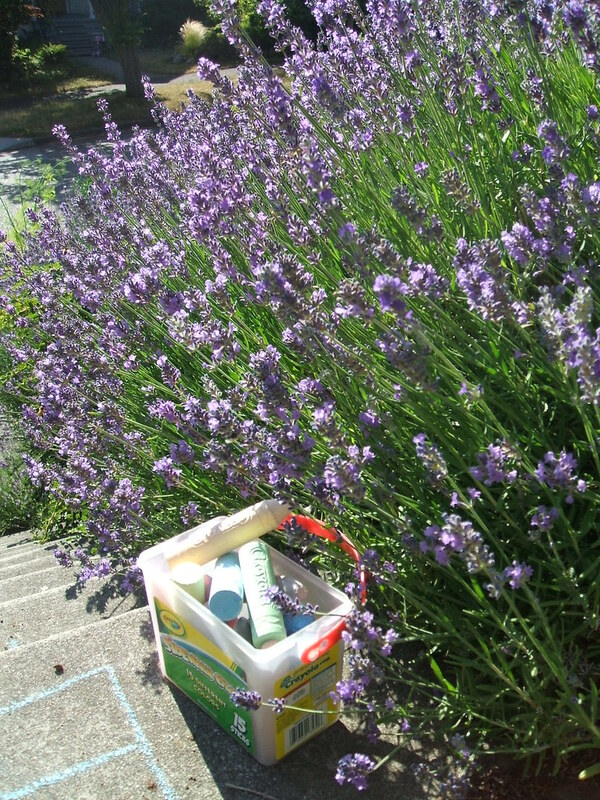 My daughter counted 13 at a time on just one side of our lavender alley today. This is a honeybee, right?? I hope she’s not allergic to bee stings. 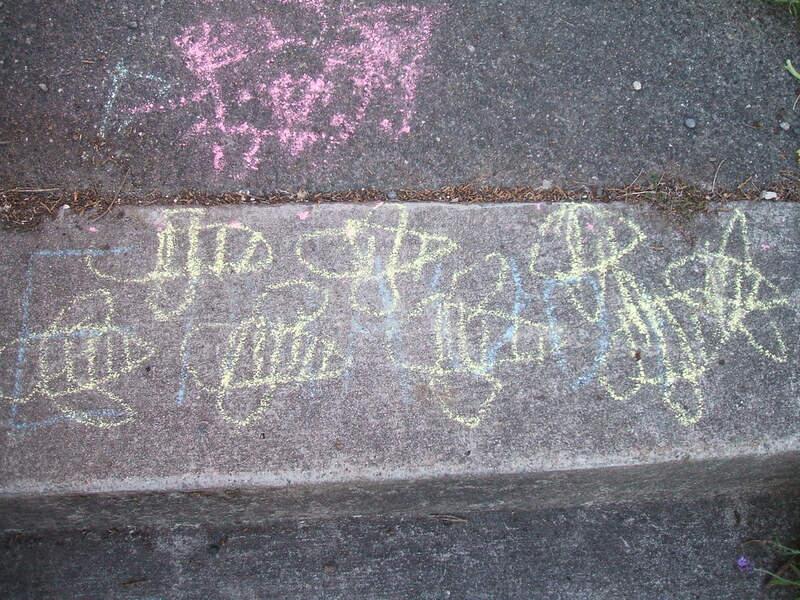 We tend to put out the sidewalk chalk right next to where everyone is buzzing around. So far, no run-ins! I hope it continues. I figure they are much more interested in the lavender than they are in us. See some bees, then it’s time to draw some bees. Lavender has many uses and delights, but right now I love it most for how it’s nourishing our vital and threatened friends. Buzz on, little bees, buzz on! 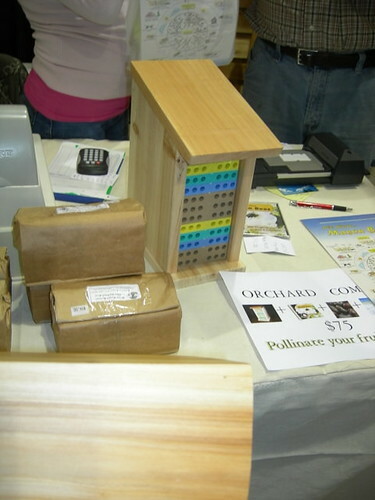 Jim and Rachel of Snohomish, WA are professional beekeepers and have everything you need to start keeping bees. They seemed to be having a great time at the show, happily fielding questions from wannabee (oh, sorry again!) apiarists and selling their wares. to attach to a tree in or near your garden. The bees fill the holes with mud and go about their solitary ways. It’s kind of like a little bee condo, or maybe a monestary dorm. Or you can make your own bee house, if you are handy with drills and such. Here’s one plan from the National Wildlife Federation site. Here’s another one that uses mostly stuff you have around the house (except for maybe “bee straws,” which you can probably order from Jim and Rachel). 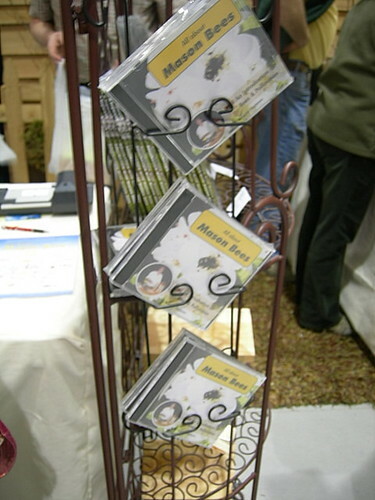 At first I thought someone had the nutty idea of putting bee sounds on a CD, maybe as a relaxation aid. Actually, I think that would be pretty cool. But it turned out to be a DVD instead, “All About Mason Bees,” by Dr. Margriet Dogterom, who is kind of the Queen Bee (agh! again with the bad bee jokes!) of the whole mason bee thing. 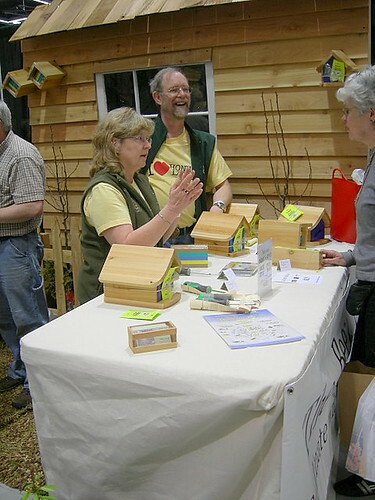 She is often at the Garden Show representing her company, Beediverse,but I didn’t see her this time. Maybe she was just off touring the show gardens, flitting from flower to flower… okay, I’ll stop. 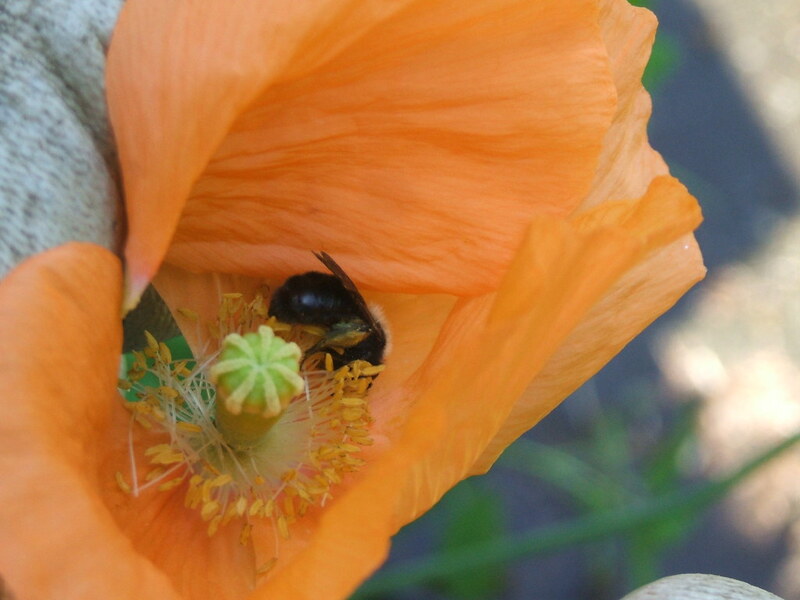 Have any of you tried your hand at beekeeping, or with opening up a guest house for Mason bees in particular? Every time I feel like a water pig, out there with the hose trying to keep my parking strip plants going through the driest part of the summer (i.e. 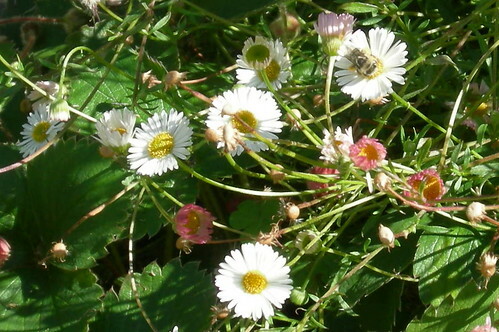 right now), I try to remind myself that having flowers instead of grass is a happy thing for the bees. With all the reports of “hive collapse” and an article in today’s Seattle Times about how to attract bees to the garden, it got me thinking about which flowers seem to keep those critters buzzing the loudest. 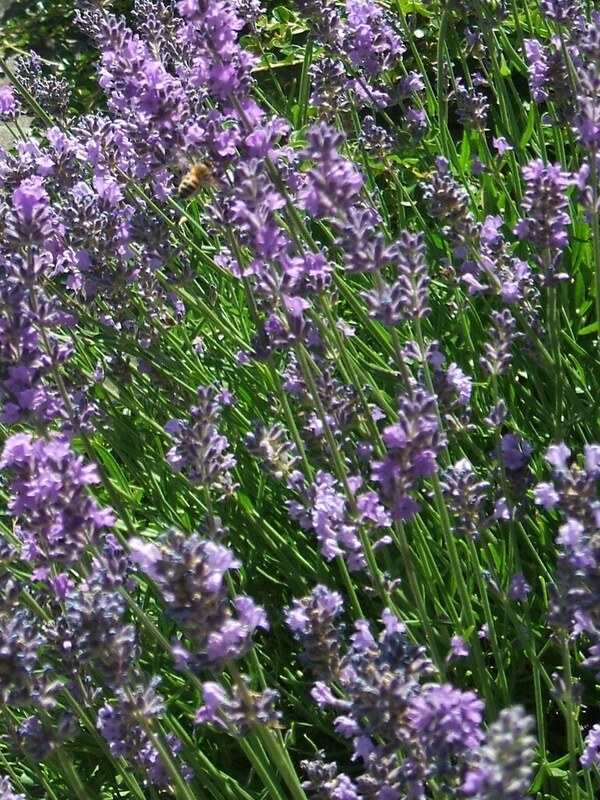 The English lavender that is everywhere at our place is a big one in the early summer when it’s in blossom (see Prima Post photo for bee action shot). 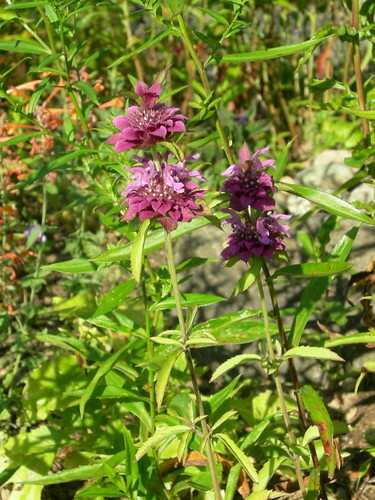 They also love the purple-blue flowers of rosemary, which tend to be out in late spring – early summer. Later in the season, sunflowers and calendulas are big attractors. 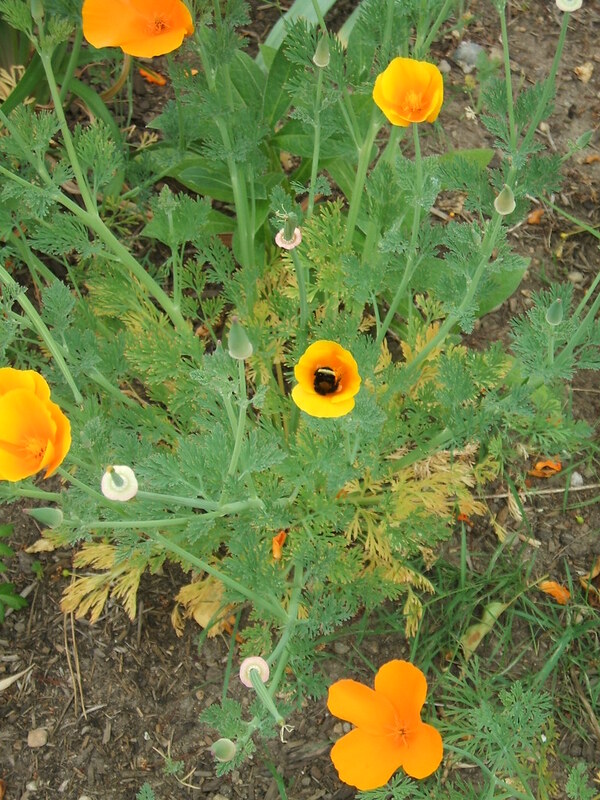 They also love the California poppies that many folks consider to be weeds but that I use as a volunteer space filler in early spring until I’m ready to put in more annuals and other stuff. 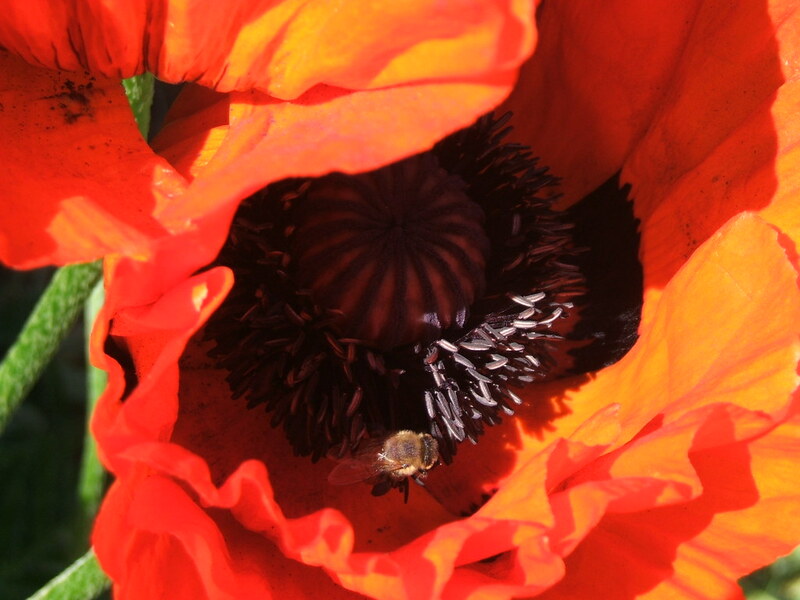 So, do your part to avert the global disaster that would befall us if the bees were no more – plant some stuff they like! 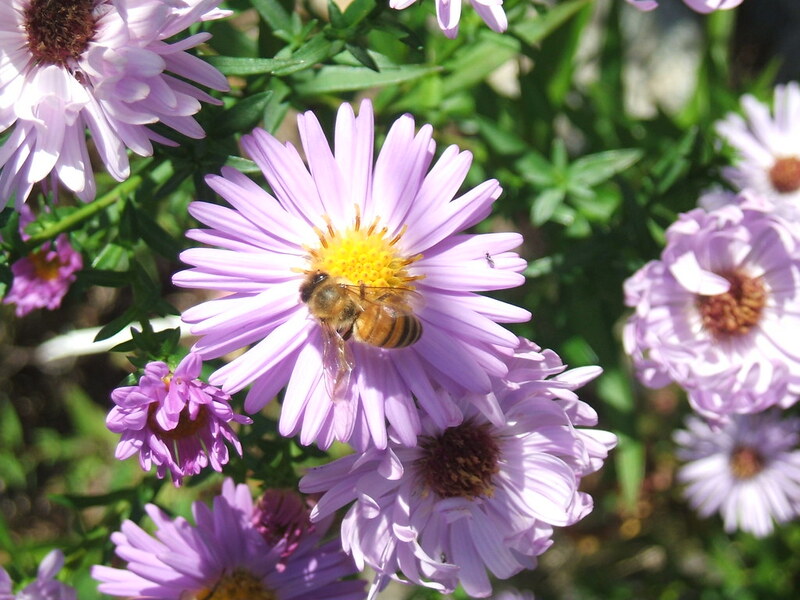 UC Berkeley has a great list here of plants for an urban bee garden.